 What connection could there be between the ``accidental'' death in her own basement of long-retired schoolmarm Anna Hocking and equally ancient Reuben Fuentes's paranoid rumblings about the people who poisoned his dogs? 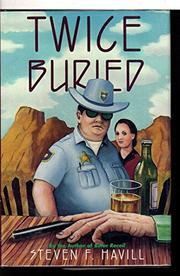 There'll be two more bodies discovered, one of them in an utterly unexpected place, before burly Posadas County (N.Mex.) Undersheriff Bill Gastner (Bitter Recoil, 1992; Heartshot, 1991) and his visiting one-time deputy, Estelle Reyes-Guzman, track down a witness who can put the pieces together for them. Even though Bill does need that witness, the mystery here is pretty thin, and the final unmasking is a disappointment. But Bill and his hardscrabble neighbors--especially Estelle, who seems destined for a return to Posadas next time--are as modestly appealing as ever, and in his third outing, he does his best detective work yet.